Eid is not so far away guys! It's literally right around the corner! Every year I have this little debate in my head as to which Eid decorations to go for. 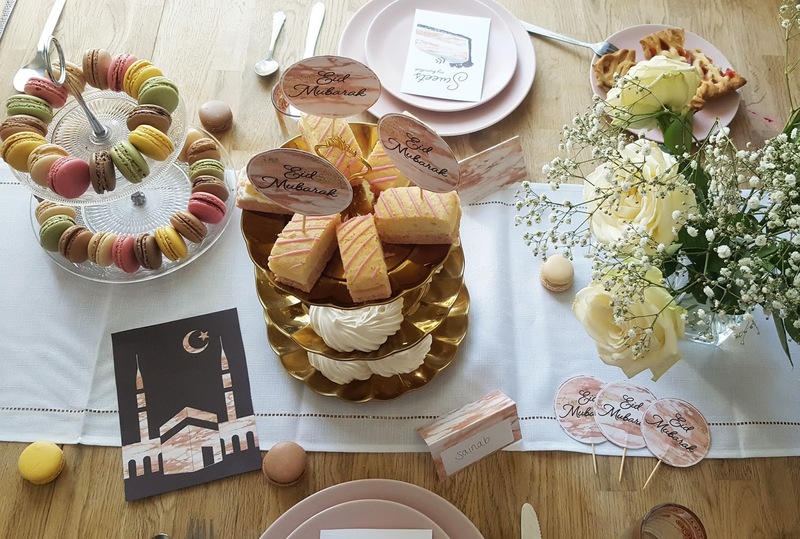 I'll sift through pages and pages of Pinterest inspiration to find what kind of Eid decor I'll be going for. Anyone else the same? Well, if you have the same problem as me, fear not, because I have a solution. 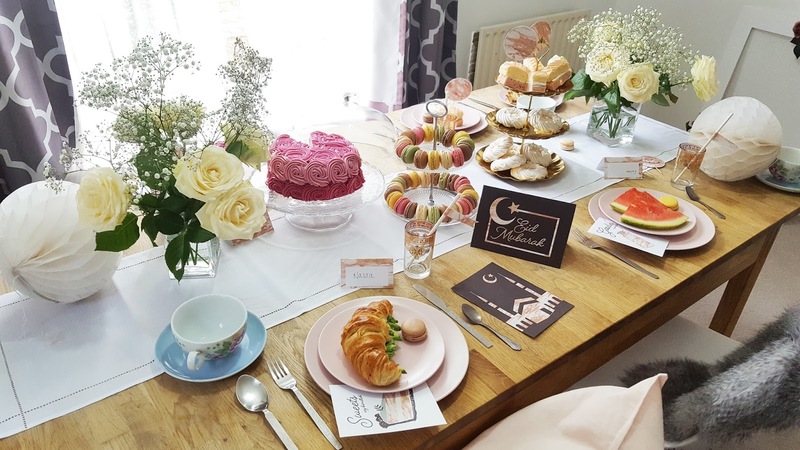 In collaboration with Twenty Five Star blog and Good Morning Muslimah, I am here to show you how to decorate this Eid. And to also show you where you can get some of the little decorations from. 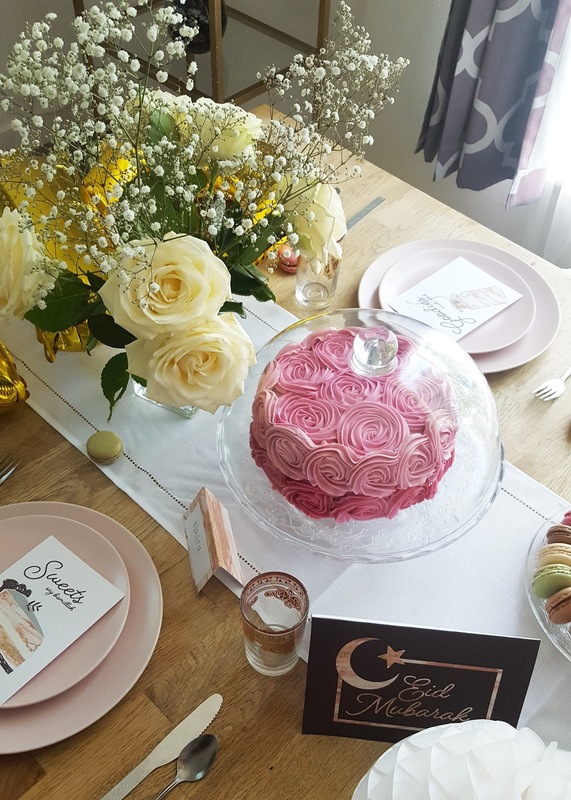 Firstly, before I start, I just want to explain that my Sister (Twenty Five Star) and I joined our Eid posts this year so we can give you some inspiration on how to decorate for Eid. 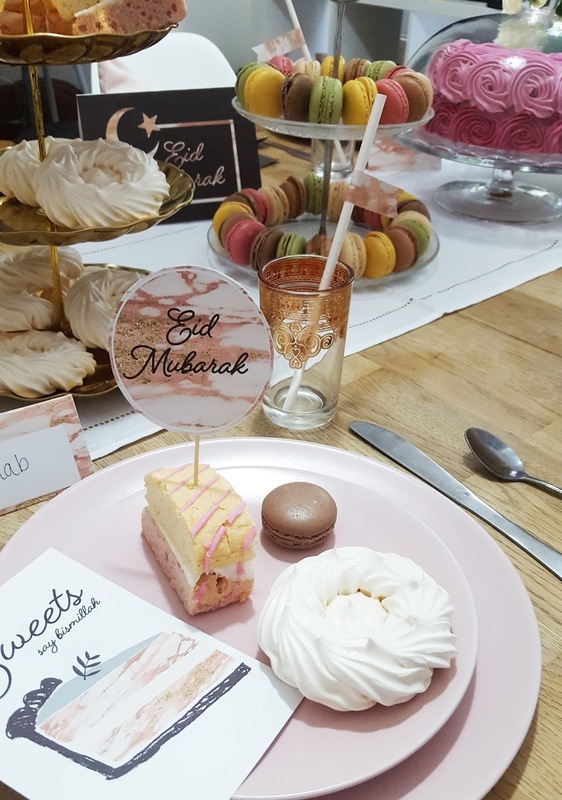 With our collaboration, we have basically created an Eid party for you all! 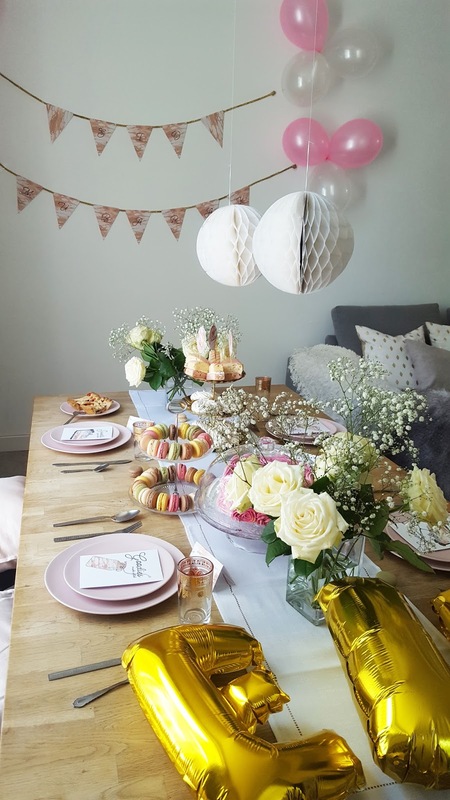 And although ours is all pink and girly, you can go with the same type of decor, but with a different colour scheme. 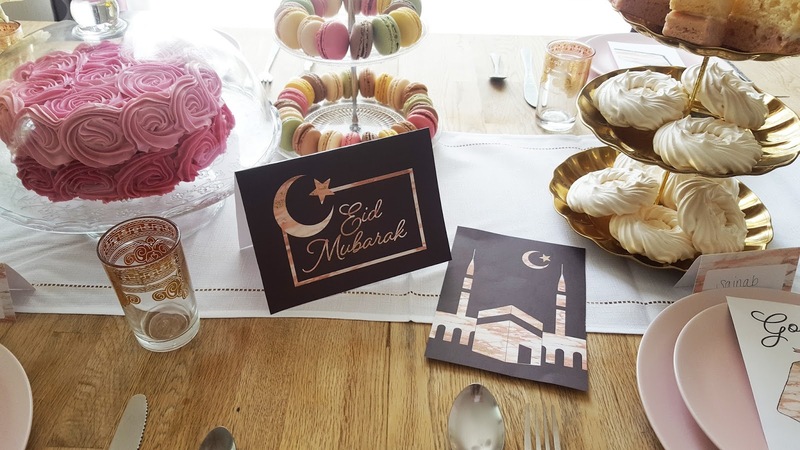 It's all to inspire you to create the best kind of Eid decorations for your home! 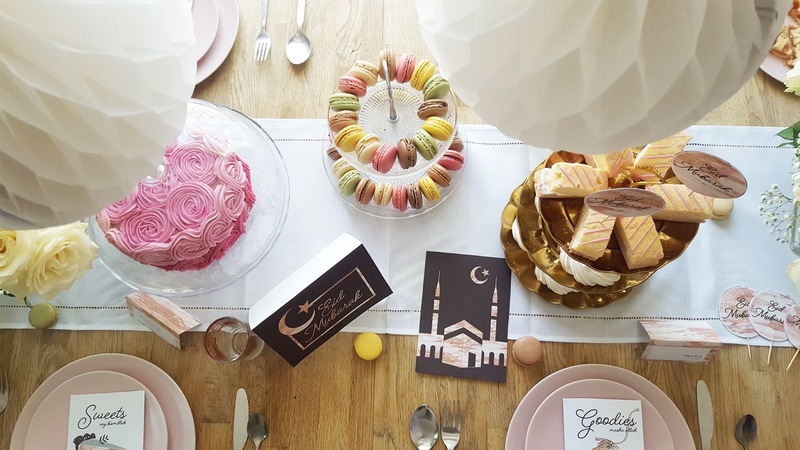 My post, in particular, is about 9 items you'll need for your Eid party decorations. 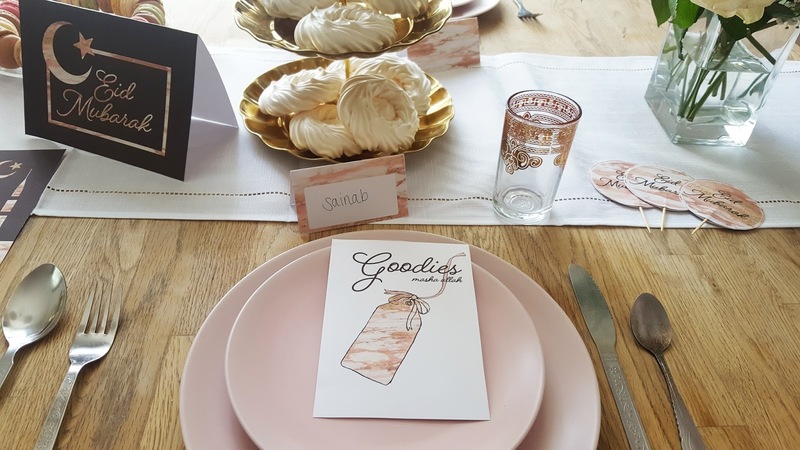 These items, if you're able to get a hold of them, will help to personalise your party for your guests, look more attractive and feel comfortable yet fun. So here goes in no particular order.. In our Eid Party, we had two Eid Mubarak signs up. 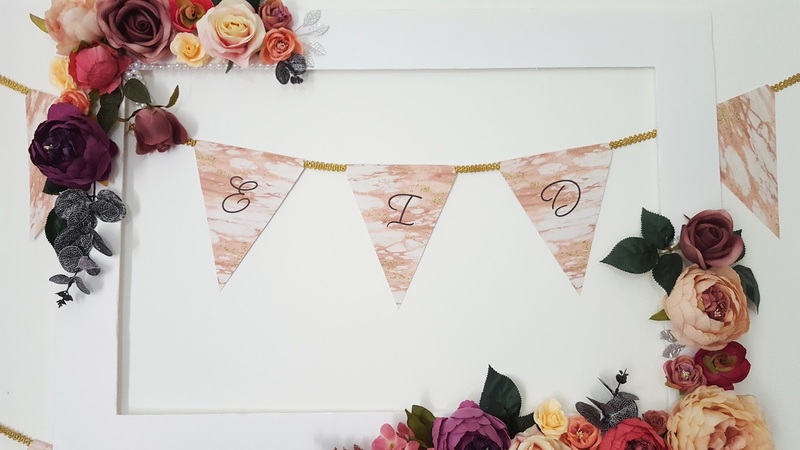 One was the pink, cream and gold with marble detailing Eid bunting. We hung it on the wall with a gold trimming. 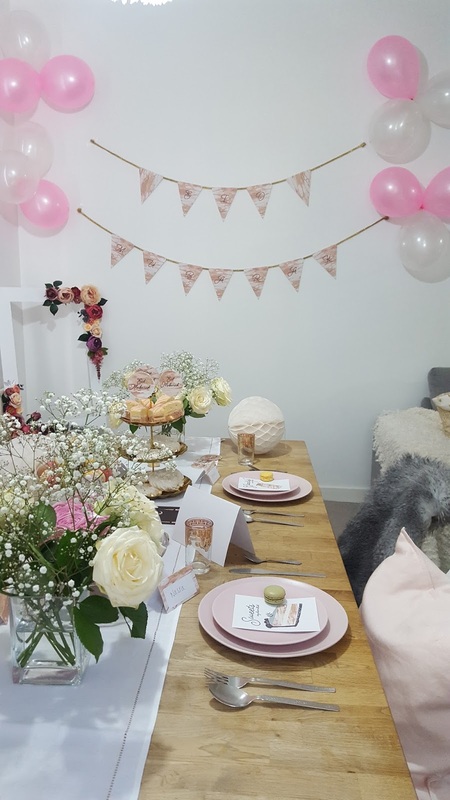 This had some pink and white Eid balloons around it to get the whole party vibe going. 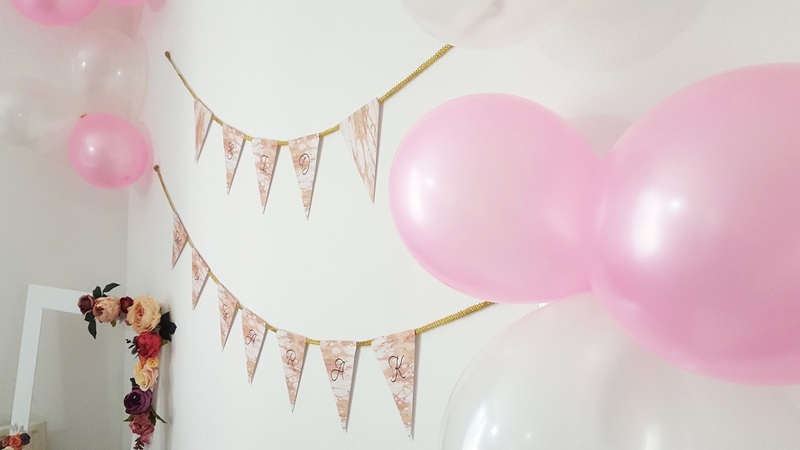 You can't have a party without balloons! (But we'll get to that part later). The bunting was from Good Morning Muslimah. 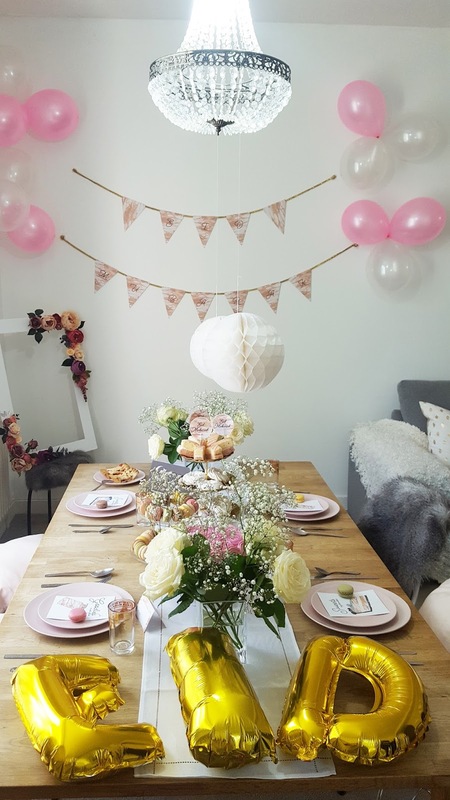 We also used some E-I-D letter balloons which were placed on the table. The great thing about these balloons is they can be placed pretty much anywhere. You'll see in the pictures we tried them out on the curtains as well which looked pretty cute. 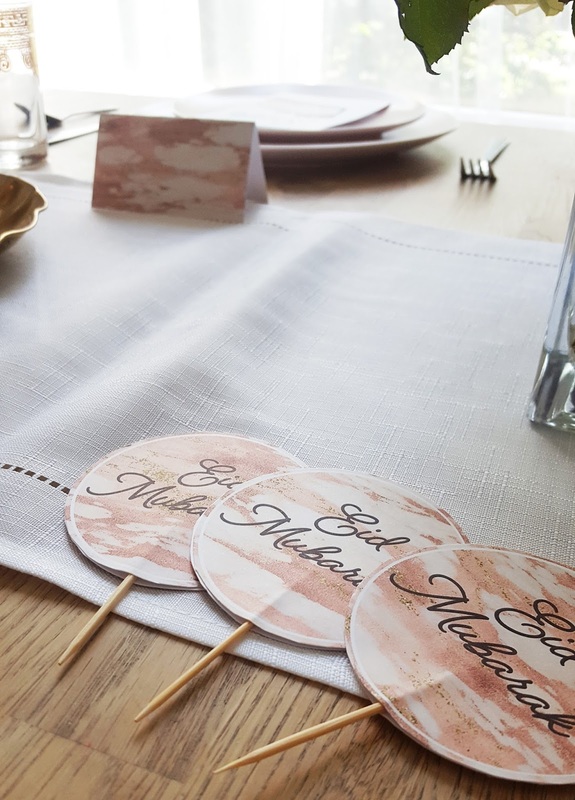 I absolutely love name place cards and there are a couple reasons why. Firstly, they personalise the whole party! NO joke, when your friend or family member comes over and sees their name on a little sign, it makes them feel a little special. You're showing you've basically thought about them. You've thought about where they should sit and who they should sit with. A lovely little touch. 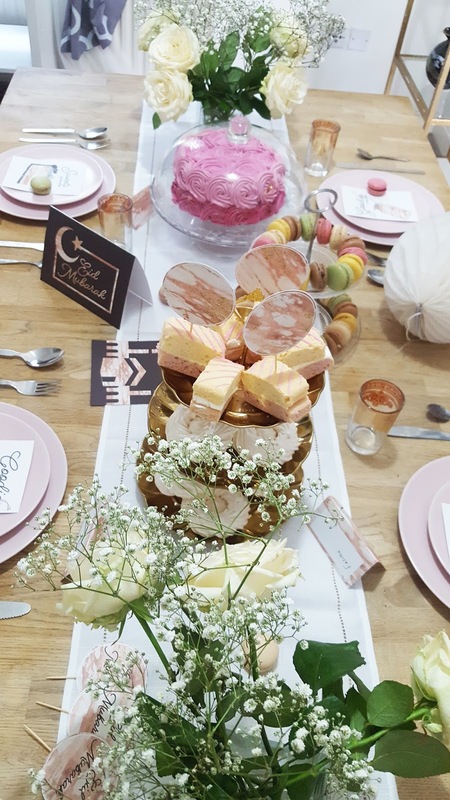 Secondly, they decorate the table beautifully. Get ones that match the rest of your Eid decorations and they'll make everything come together. 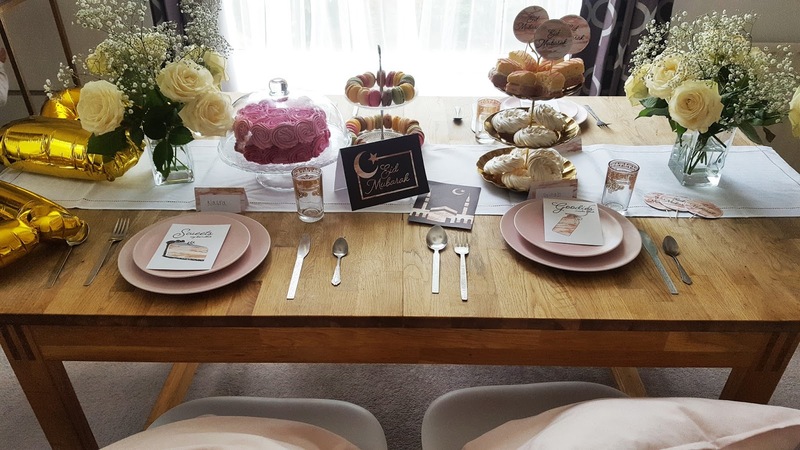 The ones we used from Good Morning Muslimah match the marble effect of the other little decorations on our table. Oh yes, flowers. 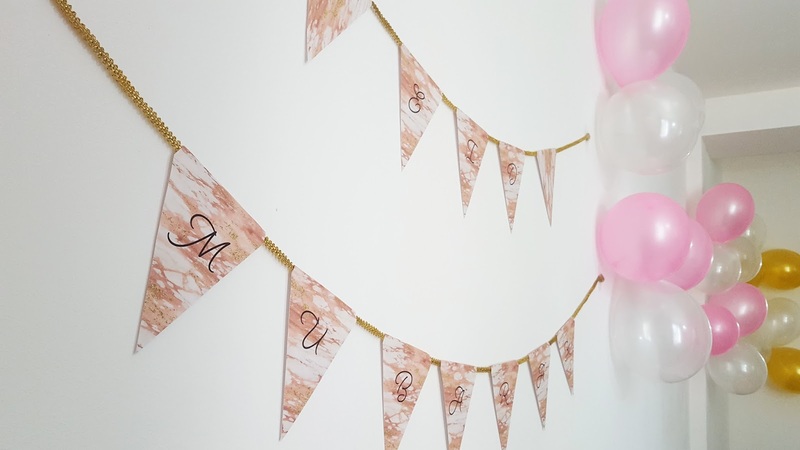 These have literally become my go-to items when it comes to any type of decorations. They brighten up a whole room and can change the mood just by sitting there! Choose ones that match your decor. They don't have to be expensive, sometimes you can buy super cheap ones from supermarkets that end up looking really expensive when bought together. Have a look around, oh and don't forget, buy ones that match your decorations! Cupcakes always go well at parties. We all know that! Although we don't actually have any cupcakes at our party, we still used the little toppers. Don't they make everything look fancier? So instead of cupcakes, we used little angel slice cakes and added cupcake toppers on top. What I like about the cupcake toppers is that you can put them on any small dessert. 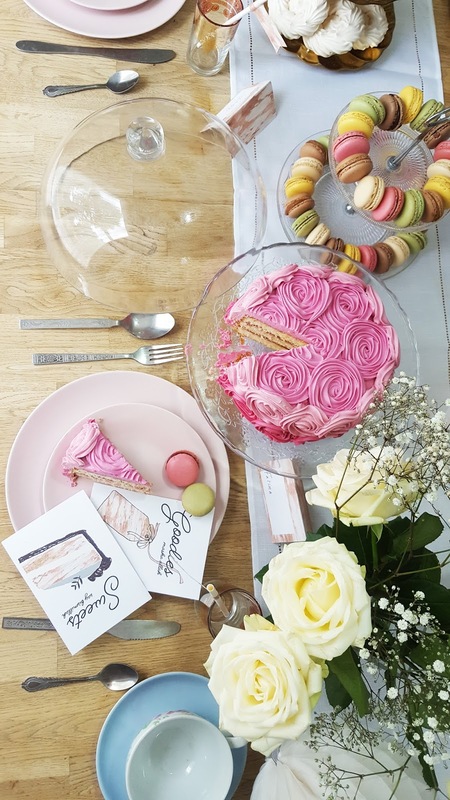 It could be macarons, little slices of cake or just the cupcakes themselves. Whatever you plan to put them on, make sure you have them, it's the little details like these that make the most difference. Lots of them! 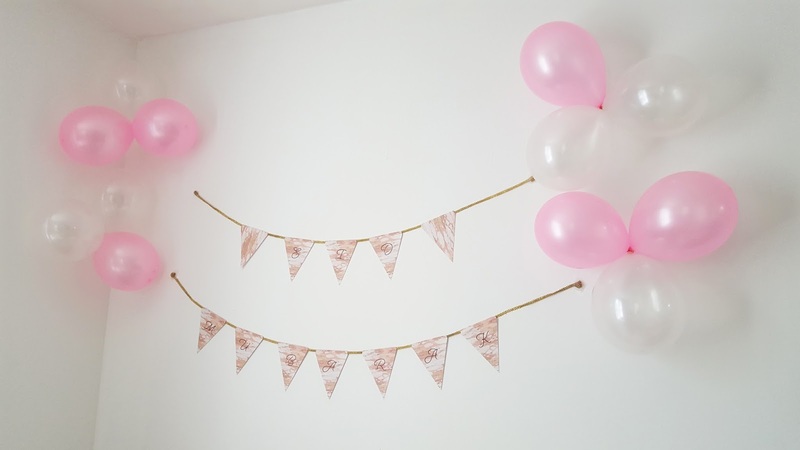 Who has a party without balloons? Whether it's for adults or children, they have to be there! Put them up on the walls or even suspend them from the ceiling, they always help bring all of the decorations together. And throw a few on the floor if you're having kids come over. Kids love them! Balloons can keep kids pre-occupied for hours! 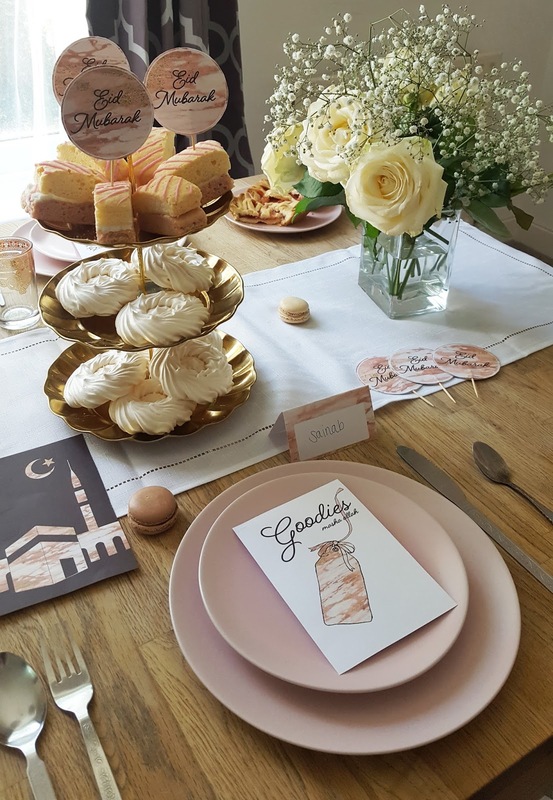 Okay so this isn't really part of the decor, but it's always super cute to give these out especially on Eid. Add a few to the table as it will just help with making everything look pretty. Let them eat cake! (As my sister would say). And let them indeed. 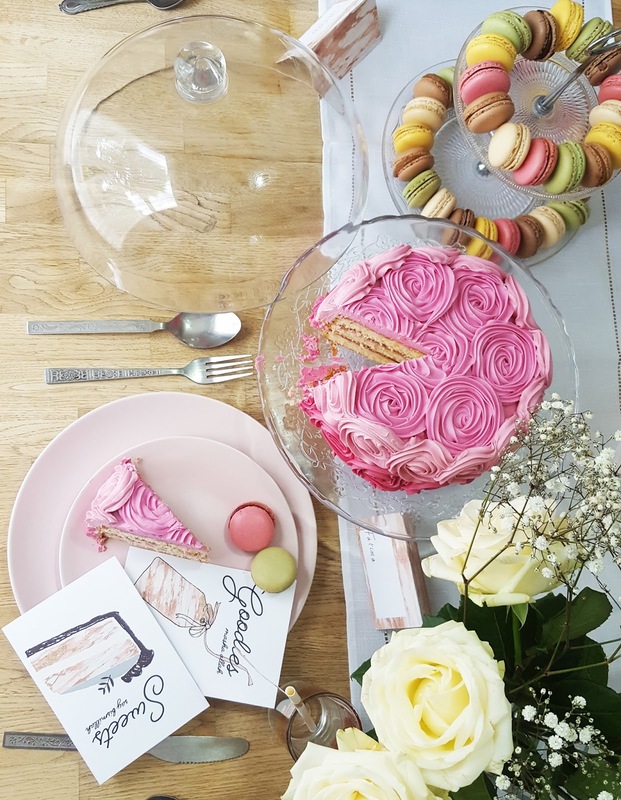 Get your hands on a lovely cake for everyone to share. It doesn't have to be super expensive and you don't have to get a caterer to make one. Ours was bought from Sainsbury's believe it or not! 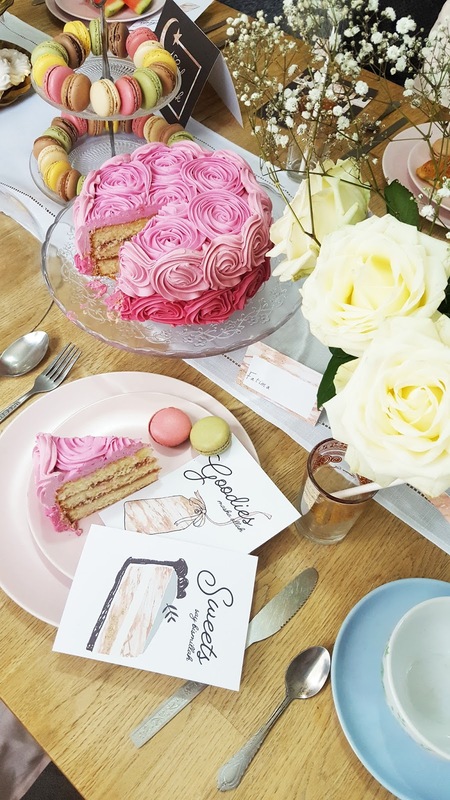 They do a great selection of party cakes at really good prices so it's definitely worth checking out. Or try making one. If you have kids why not get them to help with making it. We had a little tradition back when we were kids where we would bake our Eid cake the day before Eid. My siblings and I would all sit around the table and decorate it. It was so fun and it always made us feel like we were all a part of making it. 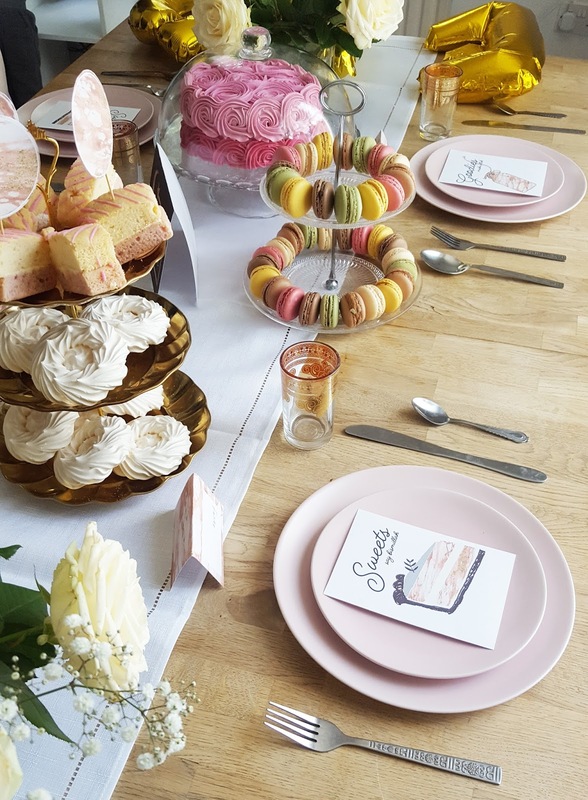 Matching plates and crockery always seem to make everything look more elegant. And even if the plates aren't fancy with gold edging and detailing, the fact that they match always makes it aesthetically pleasing. It helps with making the atmosphere more sophisticated. 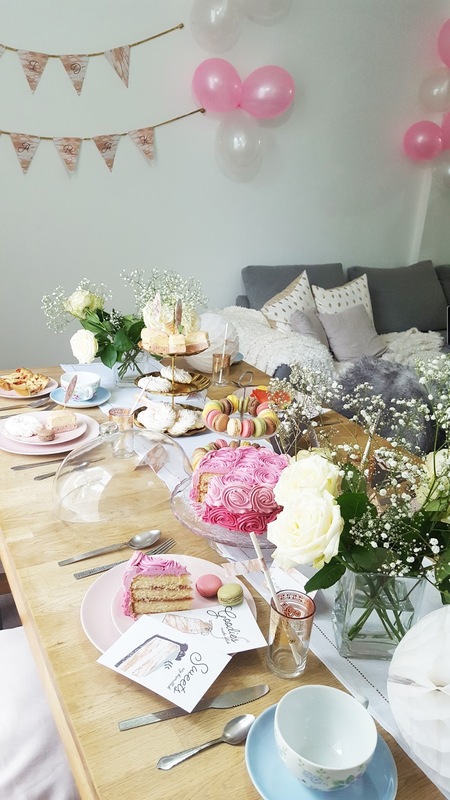 These pretty pink plates are from Ikea and they're available in more colours. The honeycomb balls are the little balls hanging from the ceiling. I love adding these with decorations as it creates more variation. It's like having balloons, but different types of balloons, if that makes any sense. They add more texture and they look really cool because they create dimension. 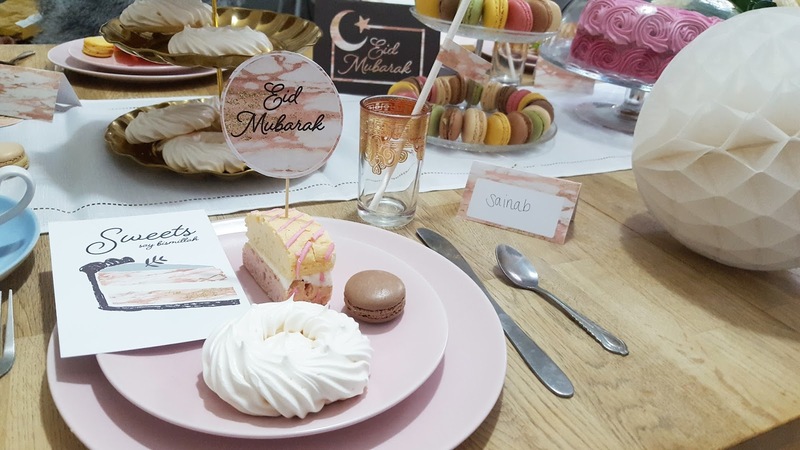 I hope you enjoyed this post and it helped with deciding how to decorate this Eid. I hope it has inspired you! Head over to Twenty Five Star to read about her post! I'll leave you with the remaining pictures with for more inspiration.